Set on a private road, this outstanding 3000sqft five bedroom detached house boasts well presented interiors throughout, an en suite master bedroom with walk-in-wardrobe, spacious eat-in kitchen and extensive garden. Situated within an imposing period conversion, this two bedroom ground floor flat boasts a bay-fronted reception room and well proportioned bedrooms. Excellent two bedroom first floor flat, boasting a generous reception room, two lovely double bedrooms with a bright neutral décor and fully tiled white bathroom suite. Set within a converted property this wonderful two bedroom first floor flat offers a spacious accommodation with large living area. 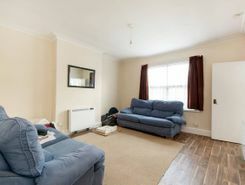 Come and cast your eyes all over this beautifully refurbished two bedroom garden flat set on the highly popular Queen Mary Road. 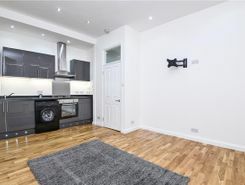 The property is finished to a very high standard throughout, with a crisp, neutral finish. The flat is bright and . 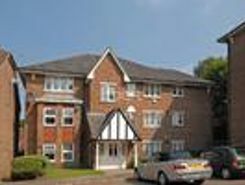 A ground floor two double bedroom renovated flat with a west facing garden. 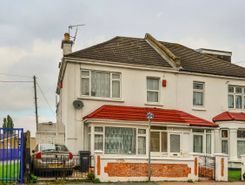 Three bedroom semi-detached house with scope for further development. The property has been extended and on the ground floor briefly affords a through reception room with wonderful views directly onto the garden garden, extended kitchen/breakfast room . This superb four bedroom house offers well presented living space, a generously proportioned reception room, a stylish kitchen, a fabulous bathroom with a corner bath and a private garden. 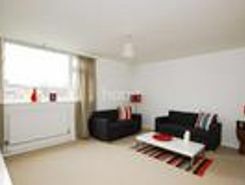 The property comprises an open plan lounge/diner, a separate kitchen, two bedrooms and a three piece family bathroom. 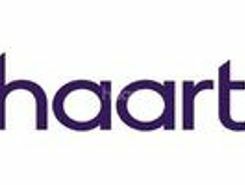 The property has been well maintained and is currently tenanted through Streatham Haart lettings department and is currently let for . Property website TheHouseShop have used their expert knowledge of the West-Norwood in Greater London property market to help buyers, sellers, tenants and landlords save money when advertising and searching for property available online. Estate agents, online-only agents, private sellers, private landlords and property developers can all list properties for sale and to rent on TheHouseShop.com, as it is the only property marketplace in the UK to accepts listings from both professional agents and individual homeowners. Sellers using TheHouseShop can choose to advertise their property themselves, or compare local and online-only agents to help sell their property for them. Homeowners in West-Norwood in Greater London can use TheHouseShop.com to advertise their property to thousands of buyers for free – saving thousands of pounds in the process. More and more people have been using the internet to sell property privately in West-Norwood in Greater London. 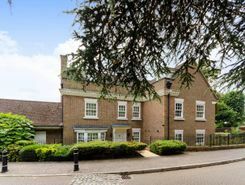 TheHouseShop can arrange a free professional property valuation from a local property manager with expert knowledge of the West-Norwood in Greater London market – helping you to set the perfect price for your property. Our private users can boost exposure for their property adverts and generate more enquiries thanks to our effective marketing options. Thanks to TheHouseShop, homeowners in West-Norwood in Greater London can save time and money by advertising their properties to thousands of motivated users on the UK's leading property marketplace. 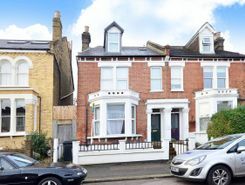 If you are selling or letting a property in West-Norwood in Greater London, TheHouseShop is a must-see platform for both private sellers and private landlords. TheHouseShop also works with thousands of West-Norwood in Greater London's best estate agents to help market their properties to a huge audience of motivated buyers and renters. 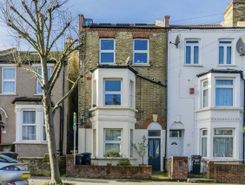 If you are looking for property for sale in West-Norwood in Greater London, TheHouseShop has a huge selection of homes available to buy including flats, apartments, detached houses, bungalows, maisonettes, terraced houses and more. Big agent-only property portals like RightMove and Zoopla will not showcase private listings, but TheHouseShop's mix of professional and private listings mean you can find unique homes in West-Norwood in Greater London for sale and to rent. Visit TheHouseShop during your property search and make sure you don't miss out on your perfect home by signing up for our free property alerts and email updates on new listings. If you are looking for an estate agent in West-Norwood in Greater London, TheHouseShop can help you compare the best local agents in your area to sell your home quickly and achieve the best possible price. Property marketplace TheHouseShop attracts tens of thousands of buyers who are looking to buy property in West-Norwood in Greater London and the surrounding areas every day. TheHouseShop specialises in the accessible property niche market and have a selection of adapted homes for sale available in West-Norwood in Greater London. Some of the largest and most established property developers in West-Norwood in Greater London use TheHouseShop to market their accessible and new build properties for sale. Buyers can use TheHouseShop to find a huge selection of affordable homes for sale. Buyers looking for affordable homes can find a variety of new homes for sale in West-Norwood in Greater London available through Shared Ownership schemes. Want to find out how much a property is worth? Buyers can use TheHouseShop's free online valuation tool to get an estimated house price for any property in West-Norwood in Greater London. If you are buying, selling, renting or letting property in West-Norwood in Greater London, TheHouseShop is here to cover all your property needs.